I think one of the reasons that children and grandchildren, especially grandpas, get along so well is because they both like telling the same stories and jokes over and over again! Is there a grandma out there who hasn’t heard the knock, knock, banana joke a hundred times? Or the famous grandpa line “Have I told you this before?” Well we don’t have a solution to the problem but we’ve come up with a great way to laugh at it. 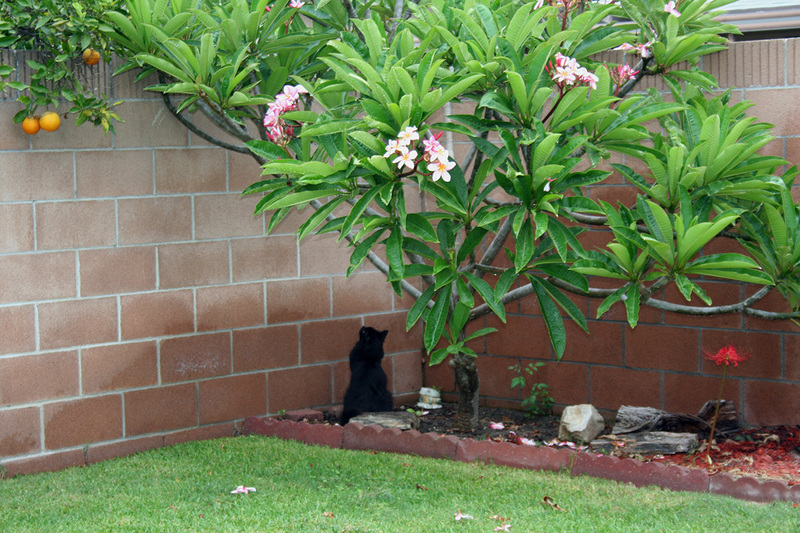 The other day as Jenna and I sat talking in the dining room Shebee was sitting under the big Plumeria. 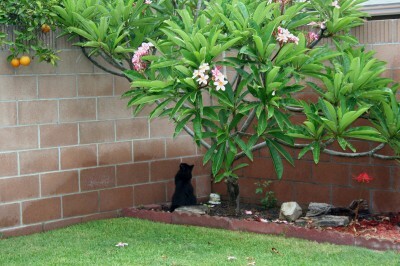 Shebee was hunting birds and that is one of her favorite places to sit and ambush them. Amara was bored because Mommy and I were talking and because Shebee was ignoring her so she ran to her room and got Ballerina Frog thinking she could distract Shebee. In the past when Amara has been playing with Frog Shebee has tried to attack her and we have joked that cats like to eat frog legs. until I just couldn’t take it anymore and told her stop! It was later that evening when I was telling Grampy this story that inspiration hit me! From now on when Amara tries to start the knock, knock jokes or Grampy begins to retell a story I just look them in the eyes and go “Frog Legs”. I may still have to listen to the joke/story but we all get a good laugh and they get the point! And so starts another wonderful tradition! This memory was posted in Grandparents and tagged frog legs, Grampy, Shebee, traditions on February 4, 2013 by Grandma Kc. Oh, always a sweet story to tell of your life and darling Amara! I remember being young and some one adult was ordering “Frog Legs” for dinner….I was told it tasted like chicken! I was horrified to say the least! That is a funny story. Cute how some family traditions hatch. Being ignored by her grandmother and her cat! 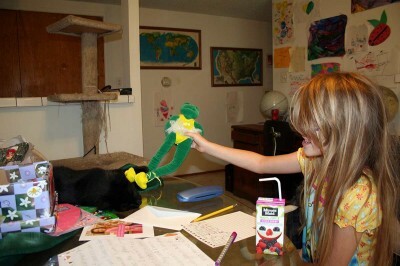 No wonder Amara was bored! But I’m sure it happens very rarely. First off, I have to tell you how much I appreciate the picture of your plumeria today. The colors are so beautiful and vibrant .. the greens in the grass and the leaves of the plumeria, and the gorgeous pink and white blossoms it has; the oranges that snuck over the neighbor’s fence; that one red flower over on the right (it that one of your lilies? ); and of course, Shebee’s beautiful black fur against the red stone fence. Our scenery here in southern Michigan today is completely opposite that. It’s like looking at a black and white photo. It’s snowing again today and so far we have about 6″ of fluffy white snow which is in its own way equally as beautiful as all the colors in your yard. I can relate to the grampa syndrome of telling stories and jokes over and over – how is it they lose their humor? We laughed the first time .. maybe it’s our perspective. That makes the frog legs idea a great way to bring some laughter back to those old stories!! LOL! That’s so cute and funny! Yes, I recognize that syndrome…my grandkids just cannot believe I’d have any reason to focus on their mommy when THEY are present! So cute. I can just imagine the incessant FROG LEGS making Grandma nuts; I’d be there in no time. The frog legs sure served up a double helping: boredom buster AND gut buster. PS: LOVE the plumeria tree! Have you ever been on a bus full of middle school kids singing, “It’s the song that never ends.” After three hours I was totally convinced, and prepared to hurl myself out of the window. Glad you’ll now have an ol’ froggy favorite to add to the fray. what a good idea–thanks so much for coming by. Hi, Good way to handle the joke problem! LOL My kids thought ABC (Already Been Chewed) gum joke was the greatest. Thanks for stopping by my blog. Happy Wednesday! Loved this story! My favorite part is the code created at the end for Grampy, “frog legs!”. I need one of those when Grandad gets started on an old story, especially when he is telling it to people I know have already heard it!! WOW GREEN GRASS AND FLOWERING SPECIES !!! LOVE IT !! It’s been white here for awhile now! Feasting my eyes !!! !